ISO files are the exact images on a CD or a DVD with all the folders and files intact. It is like an image or copy of the disk. These files can be written in the CDs or DVDs with ISO burning software and we get the exact copy of the disk from where the ISO file is collected. You can easily do this with the help of best free ISO burning software available online. Active ISO Burner is a free ISO image burner available in compact size. 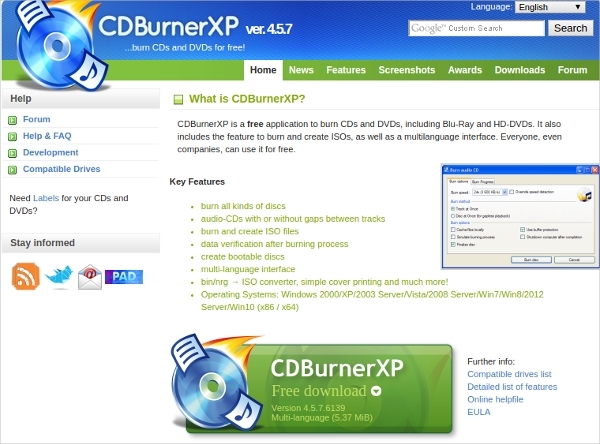 It allows the user to burn ISO files to CD, DVD and Blu-Ray discs. This application does not demand too much space. The features are simple and easy to operate. The 100% free software is easy to download and burn ISO image file any CD or DVD (as per file size). You do not have to mount ‘virtual drive’ and the image burning process can be done directly. The instructions are very simple to follow. You are allowed to select writing speed, disk volumes and abort any time in between the process. 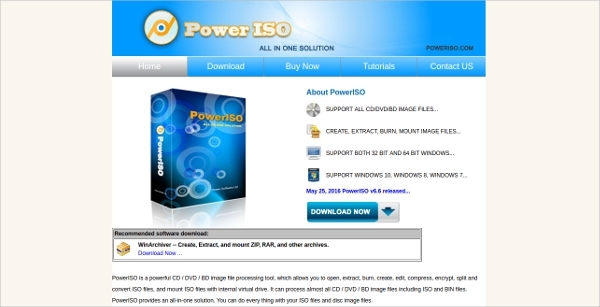 The free ISO burning software for Windows 8 and other versions, Power ISO allows you to open, burn, extract, edit, split, compress, convert and encrypt ISO files without any hassle. It has the capability to process almost all images, including BIN and ISO files. It is compatible with both 32 and 64-bit version of Windows. This software is available in both free and professional versions. In case you want the professional one you can purchase it in the web link provided below. It needs at least 1.0 GHz speed in CPU, 512 RAM and minimum 100MB space in the hard disc for proper execution. The software is compatible with Windows 8 and lower versions. One of the lightest ISO image burner software is ImgBurn. It can perform multiple tasks other than reading and burning like building image file, verifying and discovering. The software is very efficient to check whether the ISO file is readable or not too. It supports almost all image files and is compatible with Windows 8 (32 and 64 bit). 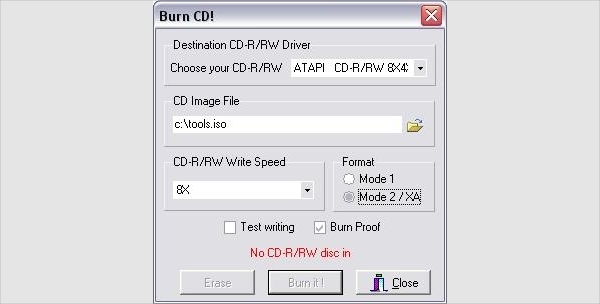 This software is a prime choice to burn ISO in CDs and DVDs. The easy steps guide you to burn the image file properly. The software is light and it is available in the link below. The home page gives appropriate directions to install and use the software for a beginner. 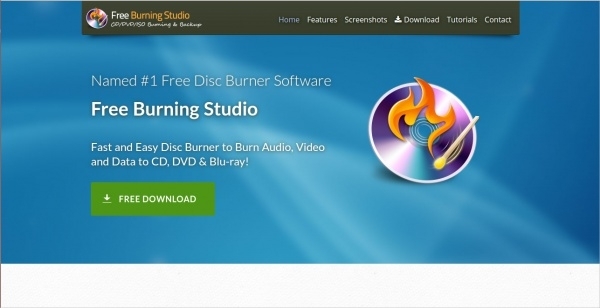 The free ISO burning software is capable to burn HD-DVDs and Blu-Ray discs. It has a multi-language interface. You can create bootable discs, audio CDs and convert ISO files to BIN or NRG file. The free software is compatible with Windows 10 (x86 and x64) and other lower versions. The free software is a one stop solution that enables you to create and burn your own ISO image. You can control the burning speed and file size too. The multipurpose software also enables a user to burn great quality audio and video files of all formats and to create bootable discs. This burner software allows you to burn and make multiple copies of ISO and other image files without any hassle. It has a free version that does not require much space and can be downloaded by visiting the link. The pro version is a premium one with added features. The ISO burning software freeware is a very compatible tool to work with. The light software has a user friendly interface that makes the ISO file creating, burning and converting very easy. Keeping backup or creating a bootable disc in any version of Windows has never been so easy. What is ISO Burning Software? The ISO image is a file which is an exact image of a disk. It means that all the data content in the written segment of the disk has been copied like an image in the file. ISO is the name of the file extension. It is created with the help of disc imaging tools installed in a computer or laptop. DVD or CD to ISO freeware which helps a user to convert files or copy disks to prepare ISO images can be easily downloaded from the source websites. 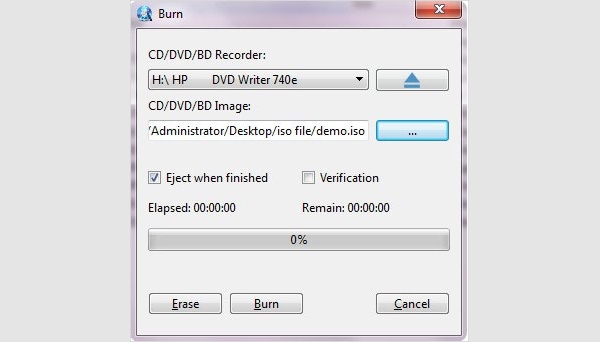 The ISO burning software on the other hand, enables the user to burn a disk and make a clone CD or DVD from which the ISO file has been made. ISO burning software free download can be done by visiting the provided link. In fact a user can upgrade to the professional one by buying the premium version from the website. How to Install ISO Burning Software? The ISO burning software installation file can be downloaded from the respective website. The installation file is not heavy and gets easily downloaded. Click the links provided in the website and check the download progress. Once the .exe file is downloaded, the user can start the installation by double clicking it. The software will ask permission and location details (where the software will be installed). The installation process takes few minutes. After the process is over you need to reboot your computer once and then the system is ready to burn ISO files in the disks of your choice. Some software tools have the option for multiple copying, and also allow you to hibernate or shut down your computer when done. If you need more features, you can go for the premium version (chargeable) directly from the website. ISO files are the exact replica of every file present in the CD or DVD. No data or file will be lost when an ISO image is made from a disk. 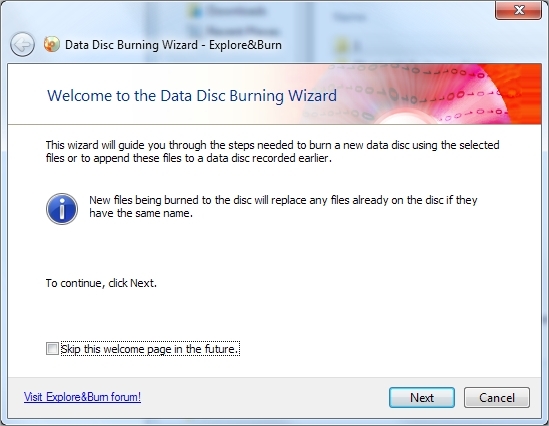 In fact it becomes very easy to make the exact copy of the disks by mounting the image in the ISO burning software. 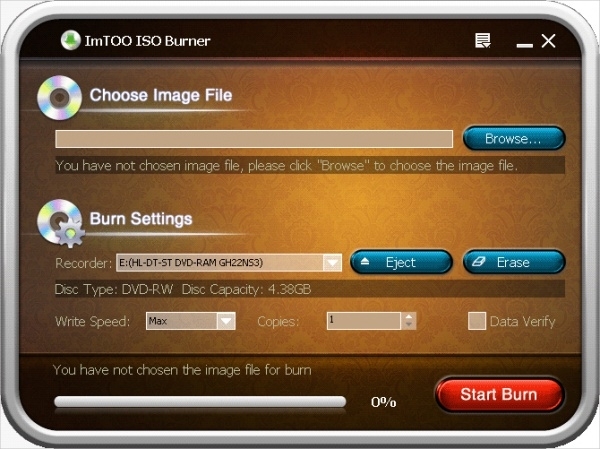 The ISO burning software tools allow a user to track, create and burn ISO images. Some of them even allow a user to manage the archive file sizes before burning. All the tools have easy features and steps to carry out the process very fast. The software helps a user to keep backups of important bootable disks and other important files in exact format. The ISO burners are compatible with the primitive as well as advanced versions of operating systems (Windows mainly) and do not demand huge space or memory to operate. 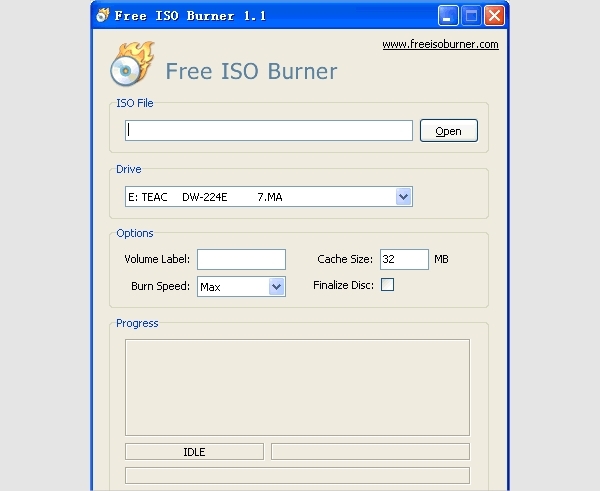 Free ISO Burner is ISO burning software for Windows 7 and other higher versions. This freeware is the most compatible and trusted one when Windows compatibility is considered. Other than the excellent user interface, it offers great features that allow a user to create and burn images into disks aptly. 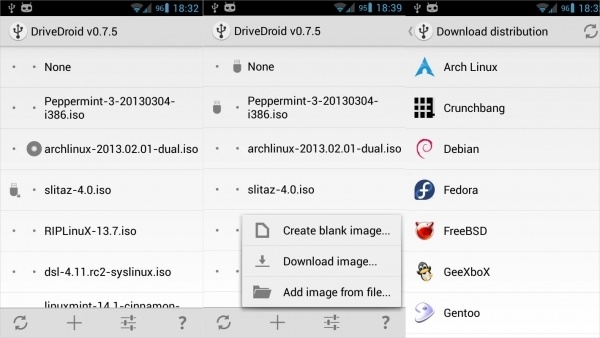 DriveDroid is not ISO burning software, but it converts a smart phone as a bootable device by using the stored ISO file in the memory. The phone will work like a bootable USB pen-drive and mostly works in the Linux kernel. Sometimes the ISO files are not compatible to the smart phone operating system. 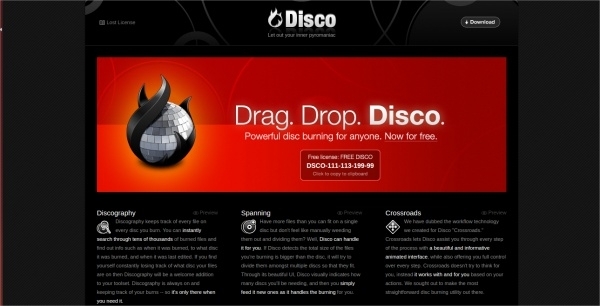 Disco allows a Mac user to make perfect ISO images and burn them in the disks. It is also capable to read different other image files and supports multisession. The software is available free at the website link provided below and with proper license number. Other than the above mentioned ISO burners the options available with good user interface are AVS Disc Creator, StarBurn, InfraRecorder, ImageMaster, Deep Burner and BurnCDCC. These tools are compatible with Windows and serve the purpose of smooth and fast burning ISO files without any hassle due to their eminent user interface. Free ISO Burner is the top rated ISO burner and the most popular among the users due to its lighter version and fast execution. The user friendly software does not require high configuration and enables a user to locate, upload and burn ISO images comfortably. The instructions are quite simple and that is why it is the most favourite tool for novice and professionals.